Cristina Nita-Rotaru is a Professor of Computer Science in the Khoury College of Computer Sciences at Northeastern University. Prior to joining Northeastern she was a faculty in the Department of Computer Science at Purdue University from 2003 to 2015. Her research lies at the intersection of security, distributed systems, and computer networks. The overarching goal of her work is designing and building secure and resilient distributed systems and network protocols, with assurance that their deployed implementations provide their security, resilience, and performance goals. 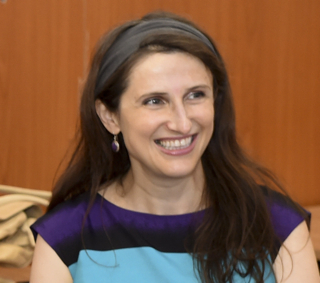 Cristina Nita-Rotaru is a recipient of the NSF Career Award in 2006. She is also a recipient of Purdue College of Science Research Award in 2013, Purdue Excellence in Research Award, Seeds for Success in 2012, Purdue College of Science Leadership Award, 2012, Purdue College of Science Undergraduate Advising Award in 2008, and Purdue Teaching for Tomorrow Award in 2007. She has served on the Technical Program Committee of numerous conferences in security, networking and distributed systems (IEEE S&P, USENIX Security, ACM CCS, NDSS, ACM Wisec, IEEE ICDCS, IEEE/IFIP DSN, ACM SIGCOMM, ACM CoNEXT, IEEE INFOCOM, IEEE ICNP, WWW, Eurosys). She served as an Assistant Director for CERIAS (2011 - 2013). She is a member of the steering committee of ACM Wisec and IEEE/IFIP DSN, and a member of the IFIP Working Group on Dependable Computing and Fault-tolerance. She was an Associate Editor for Elsevier Computer Communications (2008 - 2011), IEEE Transactions on Computers (2011 - 2014), ACM Transactions on Information Systems Security (2009 - 2013), Computer Networks (2012 - 2014), and IEEE Transactions on Mobile Computing (2011 - 2016), and IEEE Transactions on Dependable and Secure Systems (2013 - 2017). My research lies at the intersection of information security, distributed systems, and computer networks. The overarching goal of my work is creating and building robust distributed systems and network protocols that achieve their security, availability, and performance design goals in spite of misconfigurations, failures, and attacks. My research combines theoretical principles and experimental methodologies from distributed systems, cryptography, networking, information theory, machine learning, and software engineering to create systems and protocols based on provable guarantees and validated in realistic network environments. My research has been funded by NSF, DARPA, Verisign, Toyota ITC, Visa Research, PwC, Google. For detailed information about the active projects check our lab webpage NDS2 Lab. Postdocs: Reza Curtmola (Ph.D. Johns Hopkins University, 2007), Associate Professor NJIT; Endadul Hoque, (Ph.D. Purdue University Dec. 2015), Assistant Professor, Florida International University. Ph.D: Samuel Jero, (Ph.D. Purdue University, May 2018), MIT Lincoln Labs; Hyojeong Lee (co-advised with Prof. C. Killian, Ph.D. Purdue University, Sept. 2014), Google; Andrew Newell, (Ph.D. Purdue University, Aug. 2014), Facebook; Rahul Potharaju (Ph.D. Purdue University, May 2014), Microsoft; Jeffrey Seibert, (Ph. D Purdue University, May 2012), Google; David Zage, (Ph.D. Purdue University, May 2010), Intel; Jing Dong, (Ph.D. Purdue University, Dec. 2009), Knight Equity Markets; Mercan Topkara (co-advised with Prof. M. Atallah, Ph.D. Purdue University, July 2007), IBM T.J. Watson. Bogdan Carbunar (co-advised with Prof. A. Grama and Prof. J. Vitek), (Ph.D. Purdue University, May 2005), Associate Professor, Florida International University. M.S. : Supraja Krishnan, (M.S. Northeastern University, May 2018), Luojie Xiang, Apple (M.S. Purdue University, May 2014), Camille Gaspard, CISCO (M.S. Purdue University, May 2009), Aaron Walters, founding partner of Volatile Systems (M.S. Thesis, Purdue University May 2006), Chi-Bun (Ben) Chan, Xilinx Inc, (M.S. Purdue University Dec. 2004). Distributed Systems (CS 7610), Fall 2018. [www]. Computer networks (CS 5700), Fall 2017. [www]. Distributed systems (CS 7680), Spring 2017. [www]. Network security (CS 6740), Spring 2016. [www]. Graduate level: Distributed Systems [www ], Advanced Distributed Systems, Information Security and Assurance) [www ], Advanced Information Assurance, Cryptography. Undergraduate level: Introduction to C [www], Introduction to Cryptography [www], Computer Security. Conferences I am currently involved with: NDSS 2019, EuroSys 2019, ACM SIGCOMM 2019 EPIQ (Evolution, Performance, and Interoperability of QUIC), ACM SoCC 2019, USENIX WOOT 2019. Some of the journals I was an Associate Editor for: IEEE TDSC, IEEE TMC, IEEE TC, ACM TOPS (former ACM TISSEC).